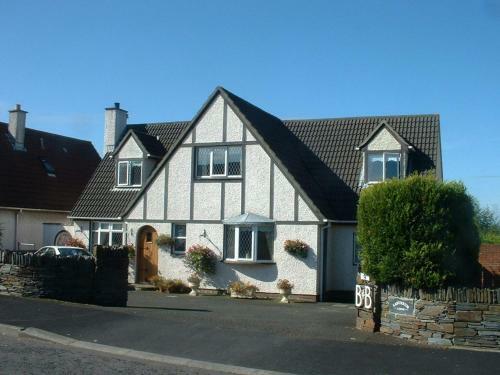 Just 300m from the Foyle Bridge, Laburnum Lodge is a family-run bed and breakfast offering free private parking and Wi-Fi, 2 minutes’ drive from Derry city centre. All bedrooms are fully en suite, with spacious shower facilities. Laburnum Lodge also offers a guest lounge, which opens onto the patio and tree-lined garden. The open fireplace in the lounge features marble from the local Donegal mountains. Laburnum Lodge is only 10 minutes from the City of Derry Airport, and close to the Donegal Causeway Coast. The Neolithic Grianan Fort and the famous murals of Bogside are also close by.